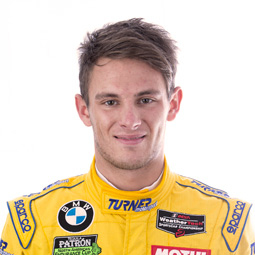 Brand new to Turner Motorsport and the GTD class, Robby has always had a passion for motorsports. Since birth he was always around race cars with his dad. Robby started his driving career running karts in SCCA auto-x. Even at the young age of eight it was apparent that he had a natural talent and he soon started to enjoy success karting. Soon after he began karting, Robby began to compete nationally in auto-x traveling to National Tours and Pro-Solo’s with his dad who has been an SCCA member since 1986. 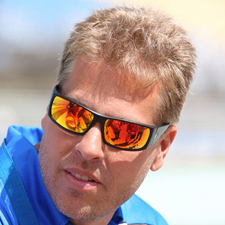 Robby ran Karts nationally from 2005 to the end of 2009 earning numerous trophies and a third place in 2008 at the Tire Rack SCCA Solo National championships and a Second place overall in the year end Pro-Solo championship. 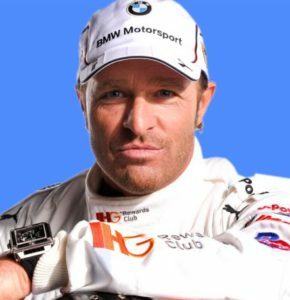 Bill Auberlen is one of the most experienced active American racing drivers. His career started 30 years ago with his debut participation at 24 hours of Daytona. Since then, he competed 27 times, three with Turner Motorsport, scoring two class victories and three more class podiums. Although he was driving all types of race cars, Auberlen was most successful with GT cars and touring cars, becoming the IMSA GT-3 champion, Grand American Rolex Series GT champion as well as 2011 Grand Am GS Class Champion and World Challenge TC Champion with Turner. For most of his career, Auberlen was driving BMW cars, becoming a true ambassador of the famous German brand. In the last round of the 2017 IMSA SportsCar Championship, the Petit Le Mans, he recorded his 400th starts with BMW, marking it with a victory. Twenty-five-year-old BMW Factory Driver Jens Klingmann brings significant endurance experience to an already stout Turner driver lineup. For the 2016 season, Klingmann will co-drive the No. 96 Turner Motorsport BMW M6 GT3 with Bret Curtis. Klingmann tested with Turner Motorsport and the BMW M6 GT3 during the teams test at Daytona International Speedway last month. In 2015 he supported BMW Team RLL at Daytona, Sebring and Road Altanta as well as completed a full season of the ADAC GT Masters in a BMW Z4 GT3. 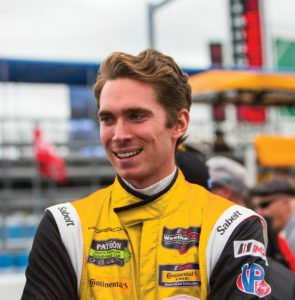 This will be his first full season competing in the Weathertech United SportsCar Championship. 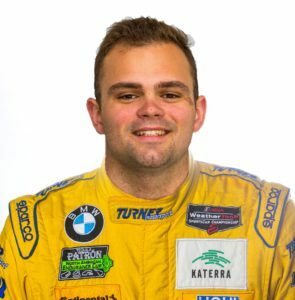 Brand new to Turner Motorsport and the BMW M6 GT3, Machavern comes from an extensive and successful racing background in IMSA as well as Trans-Am, SCCA Majors and Lamborghini Super Trofeo. Most recently, the 23 year old Machavern captured a win in the first race of the 2018 season at Daytona after clinching the 2017 IMSA Continental Tire SportsCar Challenge GrandSport Driver Championship. Machavern also captured a recent victory in the Sahlen’s Six Hours of the Glen in July of 2018 with Turner Motorsport. 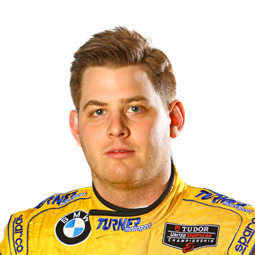 Now entering his sixth season with Turner Motorsport, Michael Marsal will take the wheel in the No. 97 Alvarez & Marsal BMW M6 GT3 for the entire 2016 season with co-driver Markus Palttala. Last season Marsal completed a successful first season in the GT class of IMSAs United SportsCar Championship with Palttala in the No. 97 BMW Z4 GTD, claiming eight top-10s, three top-5s, two podiums and a thrilling come-from-behind victory at Lime Rock Park. Marsal brings extensive North American endurance racing experience to the Turner team, having competed at top tracks throughout North America in multiple Turner race cars and in a variety of race series. 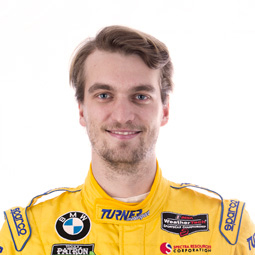 Jesse Krohn will make his inaugural drive for Turner Motorsport during the 54th running of the Rolex 24 Hours of Daytona. 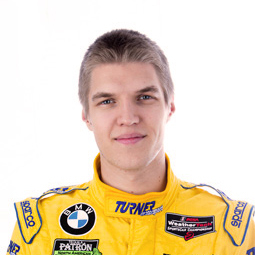 As one of BMWs most promising and talented young GT drivers, the Finland native will continue to hone his skills in the Turner No. 97 M6 GT3. After winning the first class of the BMW Motorsport Junior Program in 2014, driving a BMW M235i Racing, Krohn was promoted to drive with Marc VDS Racing in the European Le Mans Series (ELMS), along with the VLN Endurance Championship with Walkenhorst Motorsport. Krohn continued to impress throughout the 2015 season, taking class victories with Marc VDS Racing during the ELMS season finale at Estoril, as well as a second place at the VLN finale, securing the Speed Trophy Championship in the process. Bret Curtis is returning to drive for the blue and yellow BMWs after a strong first-season driving the No. 32 Turner Motorsport BMW Z4 GT3 in the GT-A class of Pirelli World Challenge that included a season-best second place finish at Barber Motorsports Park. This season he will pilot the all-new BMW M6 GT3 with co-driver and BMW Factory Driver, Jens Klingmann in the GTD class of the Weathertech United SportsCar Championship. Prior to joining the Turner team in 2014, Curtis established himself in some of the worlds most prestigious and grueling races, including a total of six 24-hour races, four 12-hour races and three 6-hour races. He has achieved class and overall victories, along with eight podiums finishes in multiple racing series, on multiple continents at such legendary tracks as Le Mans, Daytona, Spa Francorchamps, Bathurst, Sebring and Laguna Seca. For the past two seasons, Freiberg has driven a BMW E92 M3 in the Grand Sport (GS) class of the Continental Tire SportsCar Challenge. During her time in the CTSCC she captured numerous class victories, including being the first female overall race winner at Daytona International Speedway. In 2015 she took home three podiums, along with the overall victory at Petit Le Mans. In 2013 she was the first female to win a Porsche GT3 Cup race when she took the top of the podium at Watkins Glen. This will be Freibergs first season competing in the GT class of the Weathertech United SportsCar Championship and will take part in select rounds of the Patron North American Endurance Cup at Daytona, Sebring and Petit Le Mans. When Freiberg takes to the track in the No. 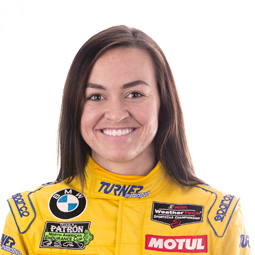 96 Turner Motorsport BMW M6 GT3 at Daytona International Speedway she will become the first female driver in Turner Motorsport history. 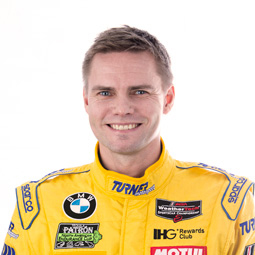 Will Turner, owner/driver of Turner Motorsport has personally raced in over 115 professional races with BMW since 1998 with 50 career victories as driver and/or team owner. Turner made a brief appearance in the Rolex GT class in 2011. In 2009 Turner finished eighth in the Continental Tire Sports Car Challenge ST point standings finishing first at Mazda Raceway Laguna Seca with co-driver Don Salama and capturing seven top tens with his Turner Motorsport Team. In 2007 Turner placed tenth in the Continental Tire GS driver points standings, earning five top tens and four poles in his first full GS season. Turner was ranked third worldwide in the BMW Sports Trophy points standings after winning the Continental Tire Sports Car Challenge ST Championship in 2006. 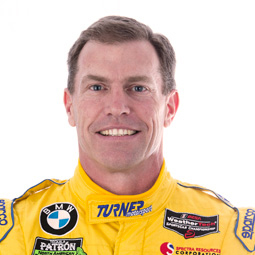 Between 1998 and 2003 Turner began competing in SPEED World Challenge and earned three wins and 43 top 10s during the six year stretch.Will Turner, owner/driver of Turner Motorsport has personally raced in over 115 professional races with BMW since 1998 with 50 career victories as driver and/or team owner. Turner made a brief appearance in the Rolex GT class in 2011. 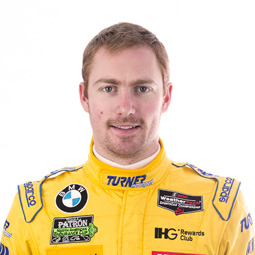 In 2009 Turner finished eighth in the Continental Tire Sports Car Challenge ST point standings finishing first at Mazda Raceway Laguna Seca with co-driver Don Salama and capturing seven top tens with his Turner Motorsport Team. In 2007 Turner placed tenth in the Continental Tire GS driver points standings, earning five top tens and four poles in his first full GS season. Turner was ranked third worldwide in the BMW Sports Trophy points standings after winning the Continental Tire Sports Car Challenge ST Championship in 2006. Between 1998 and 2003 Turner began competing in SPEED World Challenge and earned three wins and 43 top 10s during the six year stretch.